Despite yesterday’s descending movement, the man trend is still bullish. We can’t exclude a possibility that the Index may continue forming wave 5. The target for the buyers is at the level of 14500. 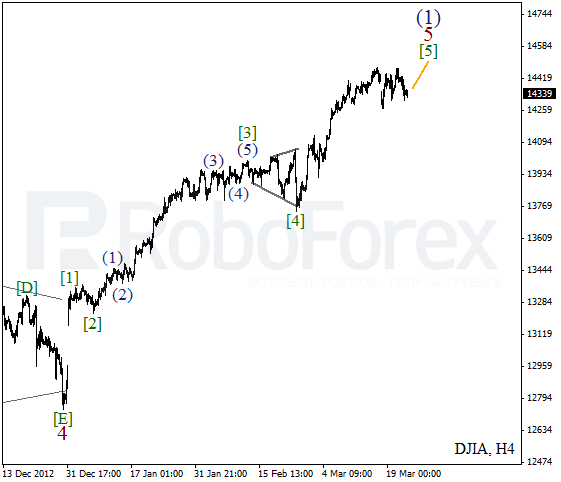 As we can see at the H1 chart, the Index is forming diagonal triangle pattern inside wave (5). On the minor wave level the instrument is completing the second wave. Later we can expect the Index to start forming zigzag pattern inside the third wave. 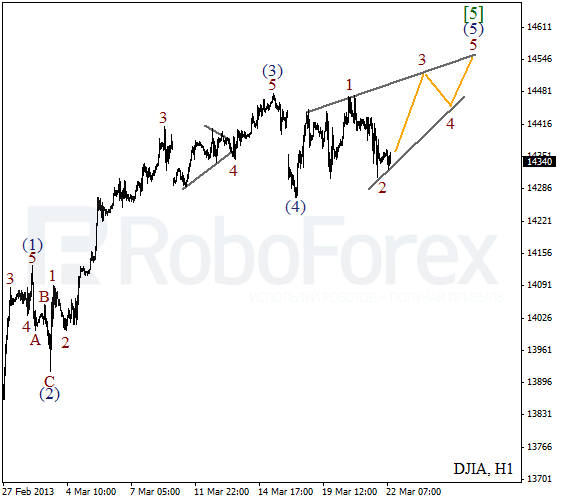 We may assume that Oil completed zigzag pattern inside the second wave. Right now the instrument is forming an initial bearish impulse. During the day the price may break a local minimum and continue moving towards the level of $91 per barrel of Light Sweet. 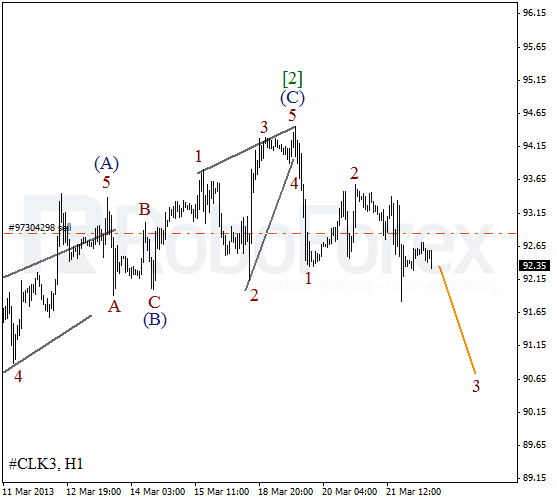 Yesterday the instrument completed zigzag pattern inside wave 2. We can’t exclude a possibility that the price may expand the third wave. If the market starts a new descending movement, then during local corrections I’m planning to open several more sell orders.